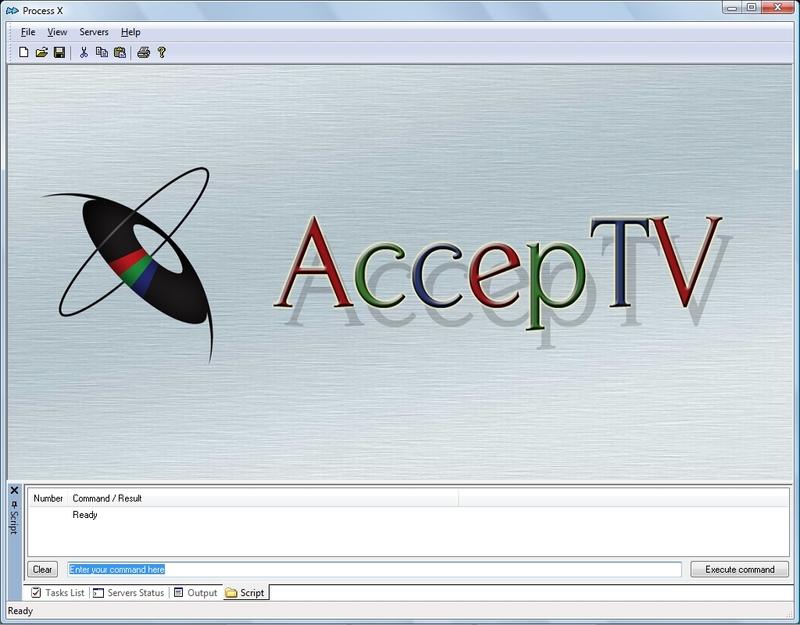 ProcessX is a powerful tool to play, decode, render, capture (record) and stream one or several videos, with or without audio. ProcessX is an application which enables you to perform several "jobs" at the same time. Each "job" has an input, a processing step, an output, and eventually a post-processing step. The audio and/or video input can be: an audio video file, a list of audio video files, portions of audio video files, an audio video capture card (HDMI, Composite...), an audio video device or an audio video streaming. The processing can be: encoding or none (by-pass). The audio and/or video output can be: an audio video file, a list of audio video files, an audio video rendering card, an audio video device or an audio video streaming. The post-processing can be: deleting a file or none (skip). 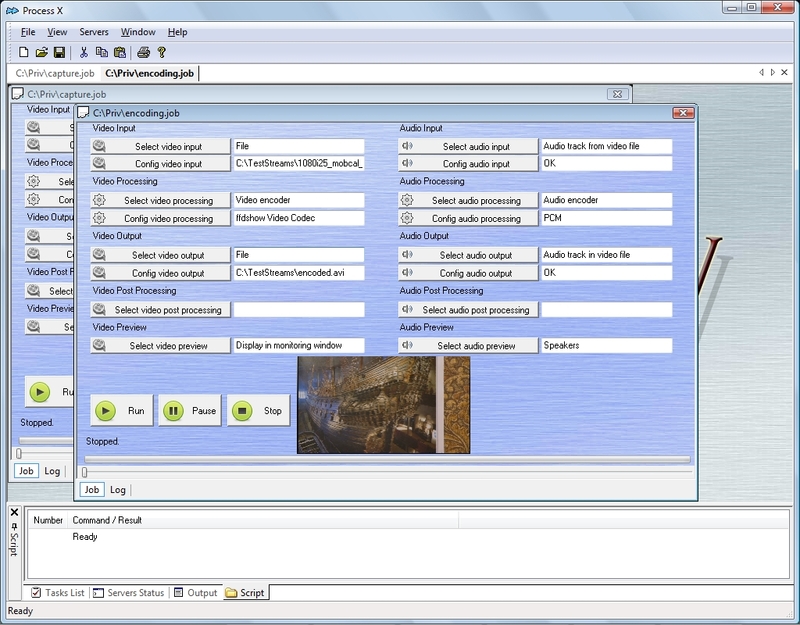 ProcessX can be used like any other application (with a mouse). But ProcessX can also be used remotely, by sending commands from a web browser or from a third-party application (using a TCP connection).